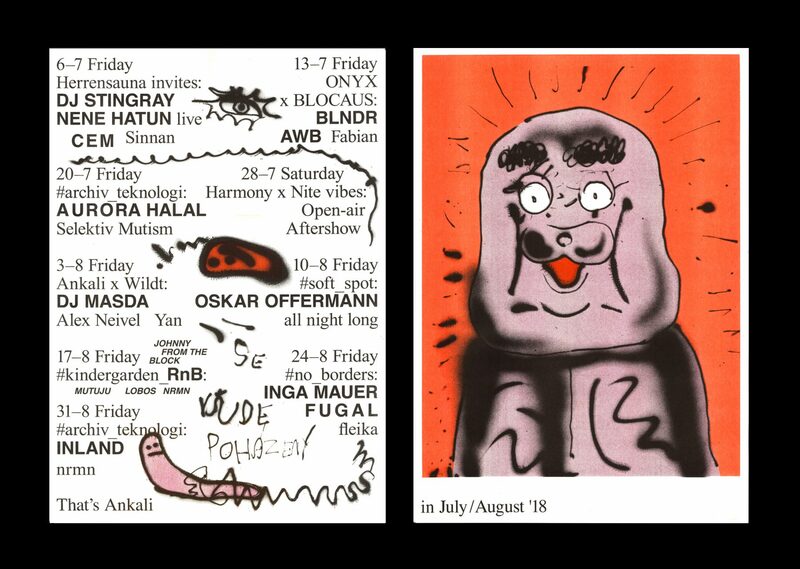 Got some sweaty news: we’re hosting another edition of Herrensauna. Joining their resident CEM will be the Detroit Electro legend Dj Stingray, outernational Techno creator Nene Hatun and local tireless explorer Sinnan. Many words have been said about Dj Stingray in the past couple of years, so let’s keep it brief. Following decades of experiments on the verge of Afro-Futurism and Kraftwerk-esque sounds as a member of Urban Tribe as well as the seminal deep sea sound explorering outfit Drexciya, Stingray’s dedicated monk-like approach to bodily sounds was recently embraced all across the globe and will finally land in Prague. Expect highest order of fast-paced Electro and beyond. Nene Hatun aka Nene H. creates fabulous music both for the dancefloor and for the mind, drawing from folk music of the East as well as non-dogmatic Techno. As her Prague debut she will perform a live set consisting of her own material. Also on the bill is CEM, co-founder of Herrensauna with an obvious penchant for crafty club trax and beyond. Opening the floor will be Sinnan, resident of Ankali and Polygon.